Offered for sale by Dan Jacobsen with eXp Realty. c 605.490.1663. This lovely 3000+ sq ft Townhouse is located on the south end of Sturgis in the Vernon Heights subdivision on a quiet cul-de-sac street. The open main floor consists of a luxurious Master bedroom and master bath with dual vanities, second bedroom and full bath, large mudroom/laundry, the large kitchen boasts hickory cabinets and black stainless appliances and an island. The hardwood flooring extends into the dining room which then opens to a covered composite deck through french doors. The Vaulted ceilings and a gas log fireplace add to the ambiance to the living room. 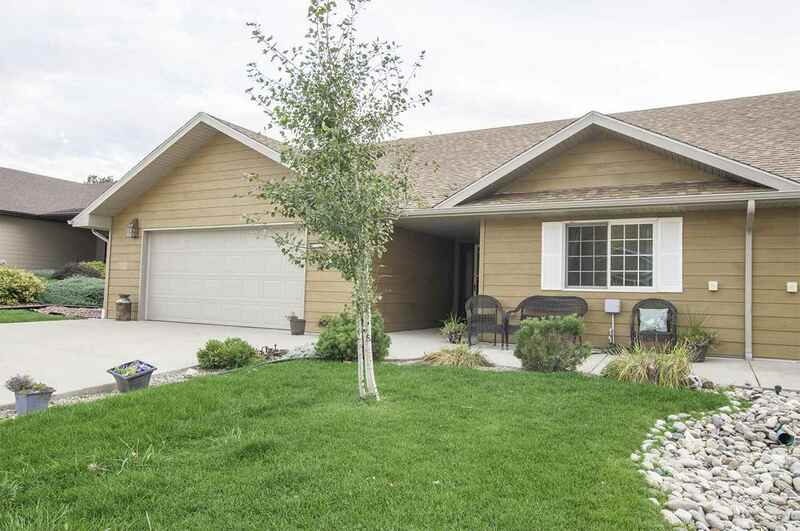 Walk out finished basement with 9&apos; ceilings includes a wet bar, workout room, craft room/office, large family room, 2 bedrooms and 1 full bath, large closets and storage areas. Low maintenance exterior with irrigated front yard, rock landscaping on the side of the home and large mature trees in the back yard. call Dan J for your private tour!